The latest version of Google's light file manager brings improved file search capabilities and Google Photos integration, so now the user can easily remove photos that have been already backed up. In addition to the above, Google Files Go 1.0.189786363 also provides improved notifications and shows the location of the duplicates upon removal. 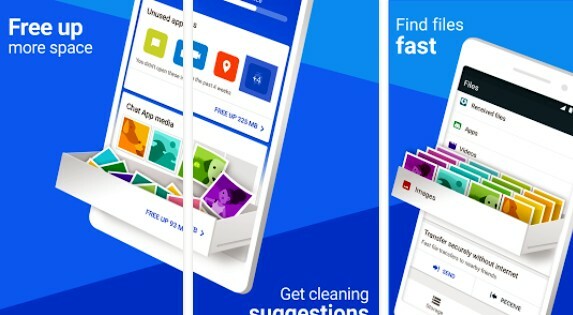 At the end of last week, Google Files Go received a new update that brings a few handy features to this highly optimized file manager for Android devices. In addition to the new search functionality, Google Files Go 1.0.189786363 also features improved notifications and a better way to handle duplicates, including support for Google Photos. Back in 2017, Google introduced the Android Go platform to provide a good user experience to those who own low-end handsets that sometimes feature only 512 MB of memory. Fortunately, virtually anyone can try the Google suite of apps that comes with Android Go since these apps are also compatible with the full Android operating mobile system. Search for files to find files even faster. Remove photos that are already backed up. See duplicates' locations when deleting duplicate files. Get smarter notifications with higher relevancy. Google Files Go 1.0.189786363 requires Android 5.0 Lollipop or later and has been installed by more than 10 million users so far. However, this piece of code is far less popular than other Google apps, since it still has to reach the 50 million users milestone. The feedback is very good so far, since Google Files Go holds a rating of 4.6/5 stars on Google Play after more than 158,000 user ratings. The app is obviously free, and since it only has about 7 MB in size, you might want to give it a try (and tell us all about it in the comments section after a while, of course).